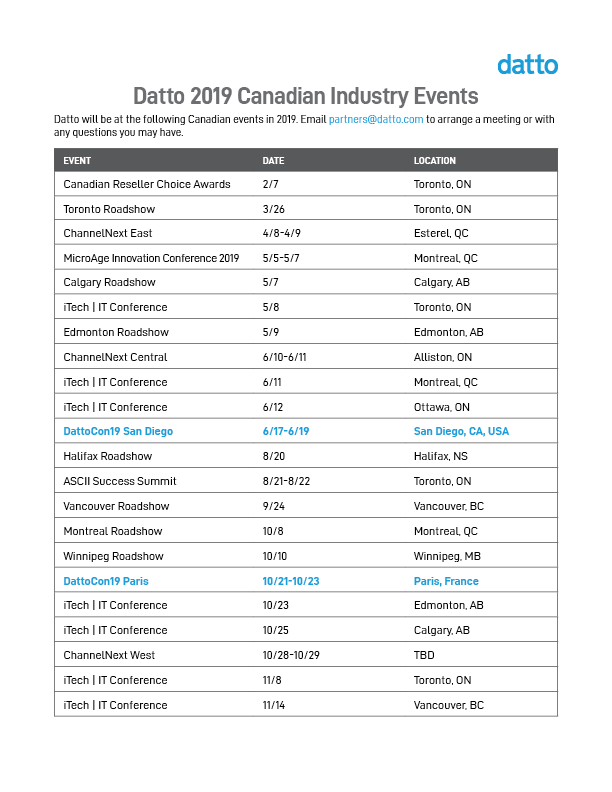 In 2019, Datto has a ton of events on the schedule throughout Canada. From the Canadian Reseller Choice Awards to roadshows, we’re increasing our presence to assist our partners more effectively. If you are attending of these events and want to setup a personal meeting please reach out to me at ubadiani@datto.com.